When this is published we'll be excitedly sat in the airport waiting to board our flight to Florida. 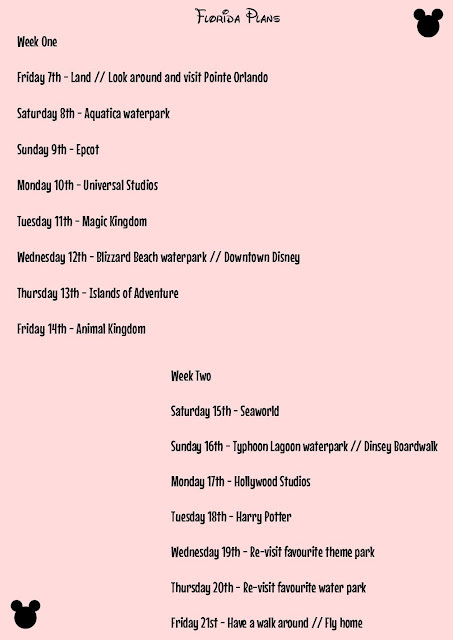 I cannot begin to tell you how excited I am that we're actually going on our dream holiday. The first holiday abroad in 5 years and one that we never dreamed we'd be doing! 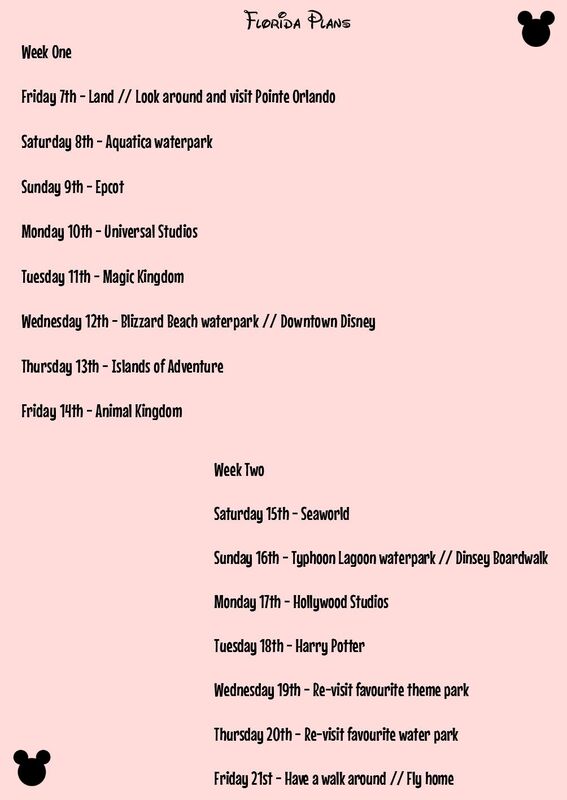 As it's such a huge holiday we've had to plan every little detail, above is our itinerary of what we'll be doing each day and some details of night time plans though we will be doing a few other things as night too that aren't included and eating out out some lovely restaurants. It's safe to say for a long time after we're back there's going to be Florida themed posts on here and I'm not sorry about that so prepare yourself for a stream of photo filled, magical posts when I'm back! I will hopefully be posting some photo's on Instagram while I'm away so if you would like to see what I'm up to while I'm there you can follow me here and I will be using #CalicoSkiesInFlorida to tag all my Florida photo's.